The Argus Weatherproof Call Point Housing is a tough protective cover that can be installed with all of the wireless or wired call points from the Argus product range. 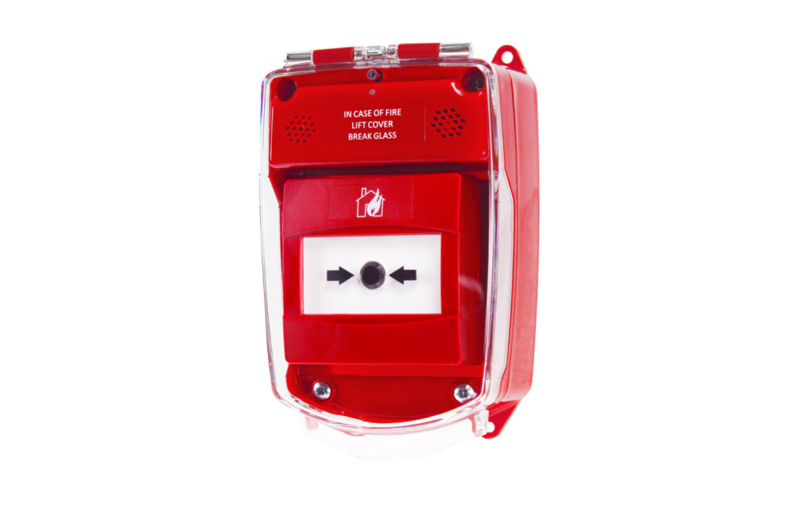 The hinge-fronted red polycarbonate housing upgrades any Argus call point to a weather-proof rated device, and has been designed and engineered to provide outstanding protection from environmental conditions, vandalism, accidental damage or misuse. This tough yet aesthetically pleasing cover can be used in a wide variety of applications including off-shore projects, the food and beverage industry, swimming pools and leisure centres, and underground installations. It is also suitable for retrofits and is available with an optional battery powered 90dB tamper alarm. Also available in clear - WHCP-BBC and with sounder - WHCP-BBR/S.